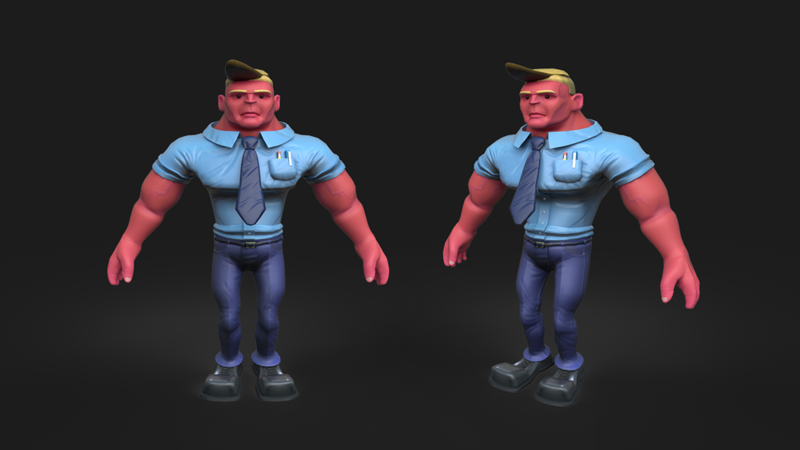 Here are some production images of an office fighting game character I have been developing for my thesis project. 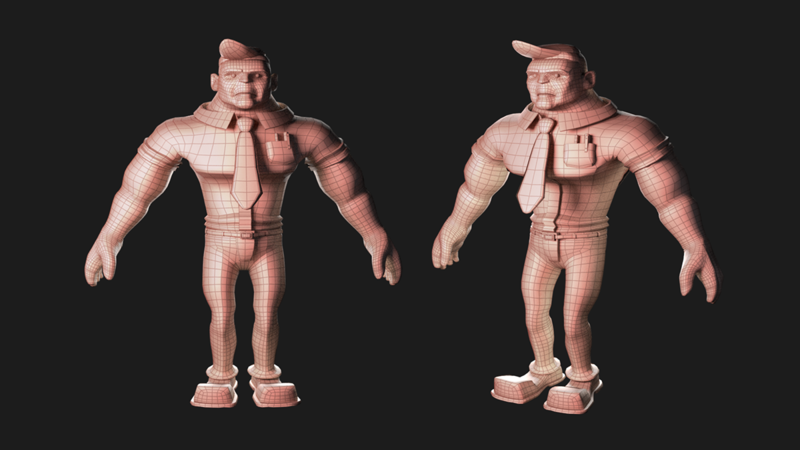 This "Sales Guy" was modeled using Maya 2017. 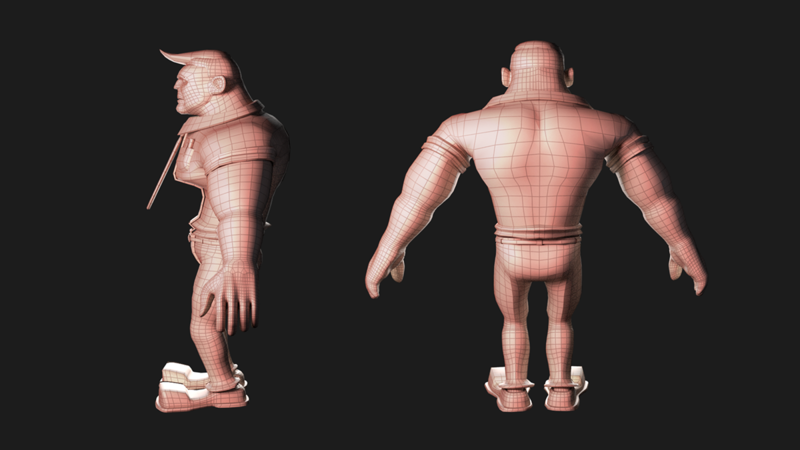 Wireframe renders were done with Renderman 21. 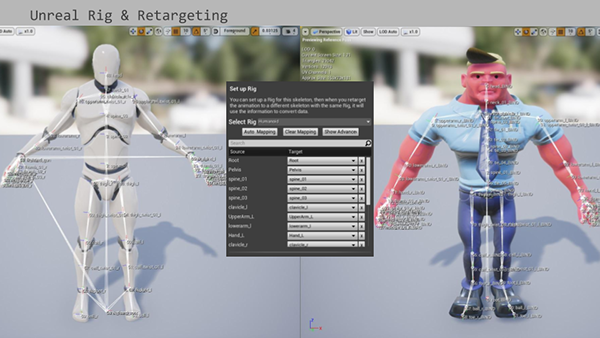 After modeling I moved on to the skeletal system, which was made to similar conventions as the Unreal Engine 4 3rd person Mannequin in order to simplify the process and ensure clarity in the retargeting process. With the rig done and skinned, I focused my sight on texturing with Substance Painter 2017.2. 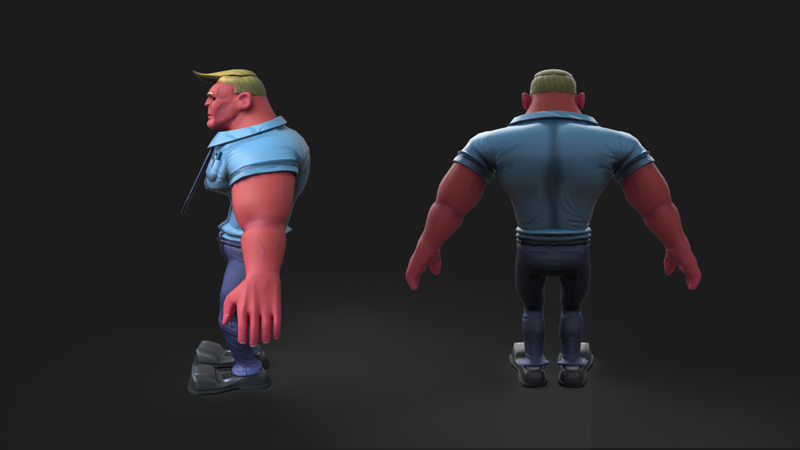 The texture has mixed normal detail- folds and creases in Substance excluding the hands which were done in Zbrush 4R8. 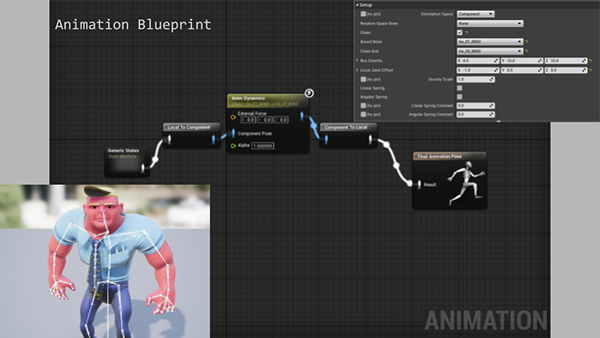 I imported the model with the skeleton into Unreal Engine 4, and using the Rig function in the retargeting menu was able to transfer the animations of the 3rd Person Mannequin onto my character! 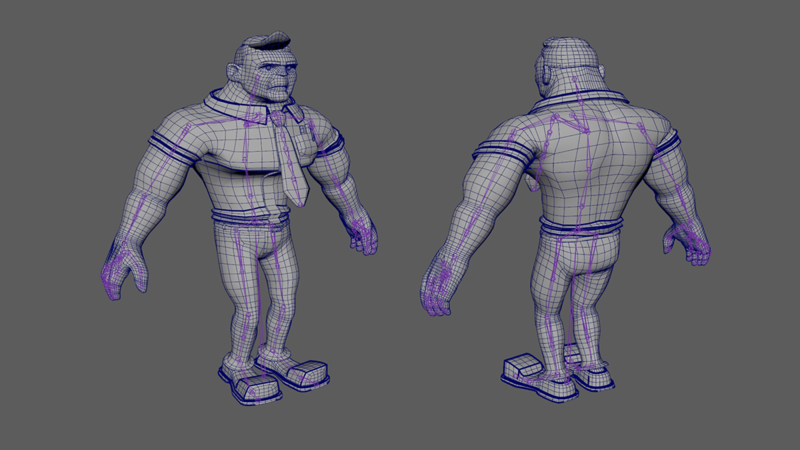 With a couple tweaks to the animation blueprint I was also able to apply animation dynamics to the tie to give it a slight wiggle. 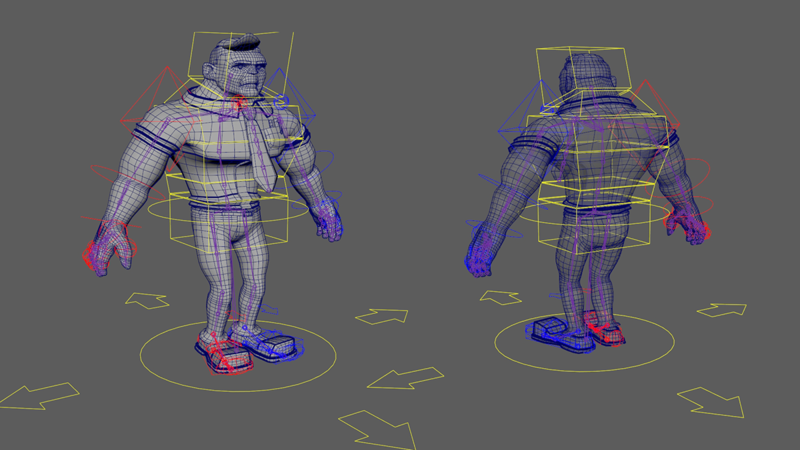 This project will be ongoing, with 3 other characters and an environment in the works, so look out for future updates! Character done for the first half of my thesis, a hot-blooded Sales Rep.